The Accuser. Satan is called the Accuser right in the beginning of the book of Job. Satan is also called the Father of Lies in the Bible because he is a professional liar. He whispers lies into my ears, accusing me of bad things I have done. He accuses me of the wrong and hurtful things I have said. Yes, I did those things and I said those things. But I know – and Satan knows – that all of these bad things I’ve done and said in the past, present and future are forgiven. I was forgiven for everything when I accepted the free gift of grace offered by God through the death of Jesus on the Cross. Jesus paid the price. It’s done. Why does Satan keep trying to make me forget that? Why does he continually try to get me to live in guilt instead of the freedom that God gave me because I believe and trust in Jesus? Why? Because Satan doesn’t like my freedom in Christ. He doesn’t like the fact that the Holy Spirit helps me ignore him. 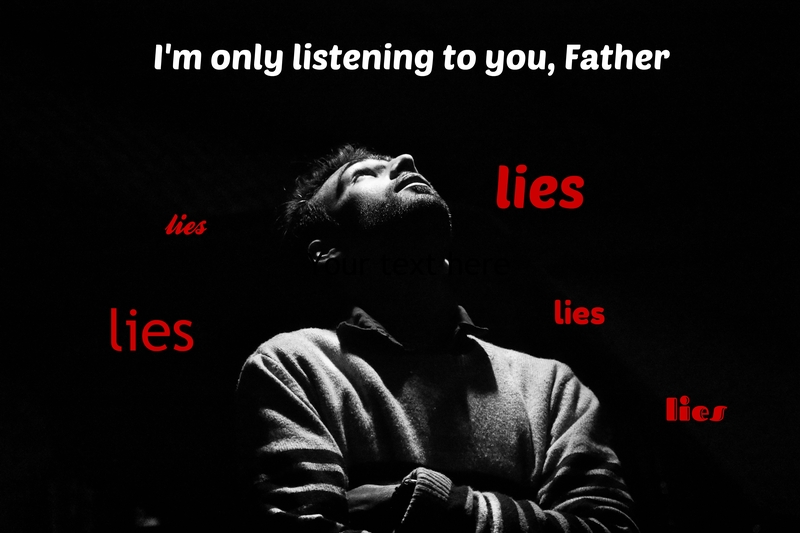 So Satan whispers his lies…. hoping that I will listen and put myself in chains of regret, bitterness, unforgiveness and guilt. Jesus died to release me from those chains. That’s the truth. So I’m not listening to the Accuser. I listen to him and I know the truth. When I know the truth, I can live in the truth. The Accuser can just go somewhere else with his lies. No one is listening here.